A Chinese telecom Company Huawei has hacked into BSNL’s network, and Government has ordered a probe into this incident. This is not a rumor, as the Parliament was informed about this incident. The Government of India has immediately formed a team of National Security Council Secretariat, Intelligence Bureau, Union home ministry and BSNL officials to investigate this allegation and find out the truth. The team will also suggest remedial measures to stop such incidents in future. In the year 2012, BSNL had awarded a tender of network expansion of 10.5 million telephone lines to a Chinese company ZTE. In October 2013, the Telecom Ministry was informed that several BSNL towers in Andhra Pradesh had been provided unauthorized access, and at that time, it was alleged that some engineers of BSNL had done this covert operation. But nothing substantial came out from the investigation. Now, this high level team will deeply analyze and investigate the allegations that this hacking attempt might be a result of internal rivalry between ZTE and Huawei. Two years ago, a Parliamentary panel had strongly recommended to the Indian government to do a thorough check on all telecom equipments and tools supplied by overseas vendors, as Chinese companies have evolved as one of the biggest suppliers of such hardware and machinery to Indian telecom companies, especially BSNL. They bid far too less compared to even Indian companies, and are almost every time successful in bagging huge tenders. Government of India has now directed BSNL to create a high profile report on these allegations and submit to the Parliament. Even US Lawmakers have warned their Government about possible cyber espionage carried over by Chinese telecom companies. It is not a secret that almost all privately held Chinese companies have considerable stake of Chinese Government as well, and in case of tender allocation to these companies, it is highly possible that they can carry forward activities which can be deemed anti-national and very close to spying. 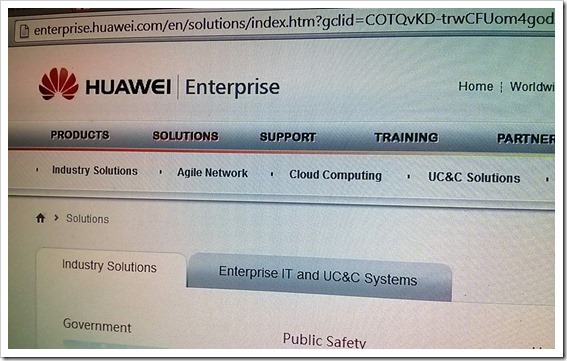 Chinese companies Huawei and ZTE have strongly denied allegations of cyber espionage threats. Do you believe that Indian Government should be more careful while allocating such sensitive telecom hardware and software tenders to Chinese companies? Do let us know in your comments! "Chinese Company Huawei Has Allegedly Hacked BSNL Network; Probe Ordered By Government", 5 out of 5 based on 1 ratings.